Thursday night I was planning on making a healthy Asian stir fry, but when I got home I decided I needed something more comforting and substantial. Then I remembered reading about how Desperado’s is doing delivery. Burgers delivered? 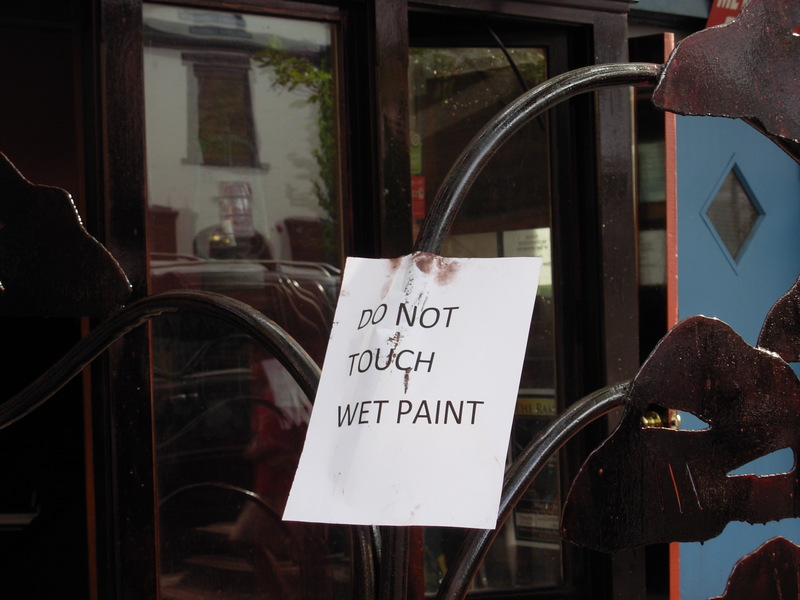 So many things could go wrong – but I went for it anyway. And I was not disappointed. 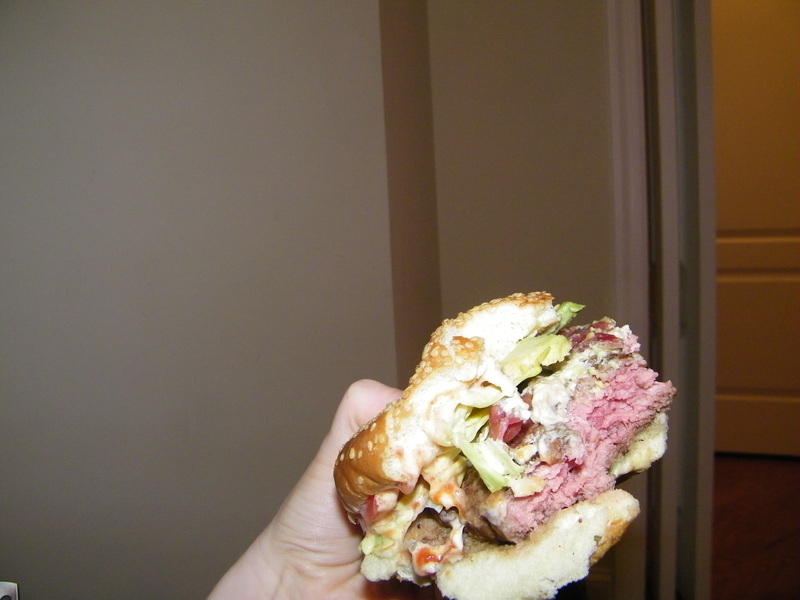 As you can tell with this sloppy photo, I had a wonderful medium rare (as I requested) burger. So lest you be skeptical: Desperado’s was able to deliver a great burger to my apartment, about 4 blocks away from their restaurant. And, you can order everything completely online: which is perfect after a long day when you want to keep human interaction to a minimum. 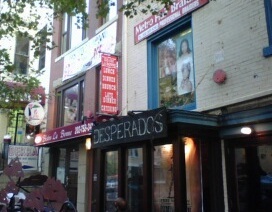 Desperado’s delivers to the U Street and Columbia Heights neighborhoods. There is a $15 minimum. I ended up waiting about an hour on a Thursday night: but it was well worth it (which, by the way, was conveyed on their website at the time I placed my order). So the sign is up for Desperado’s, the burger and bar place coming to the old Polly’s location. Looking good, I’d expect they’d open within a week or two. (And I’m a bad blogger, sorry for the poor quality photo). Old Polly’s space to become Port Orleans? We’d already heard the rumor that the owners of neighboring Angelico’s Pizza were opening a new restaurant/bar at the old Polly’s location. 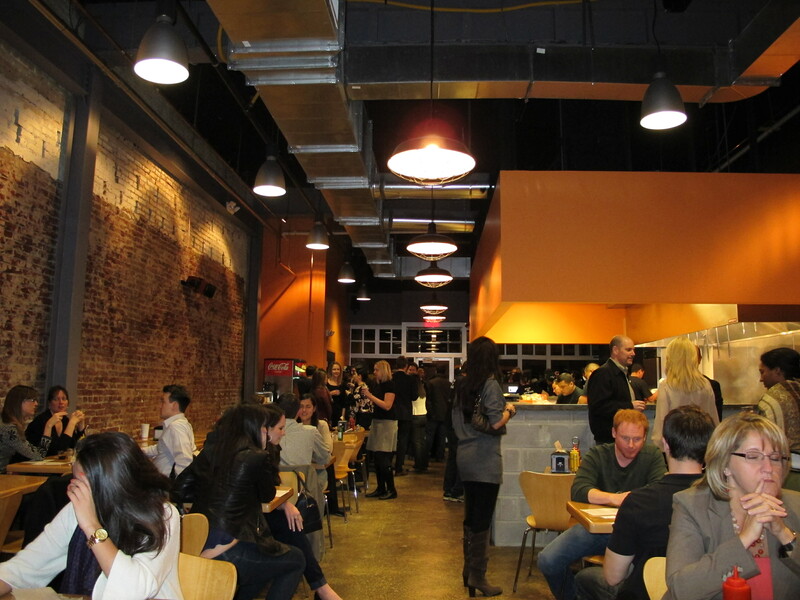 Now a commenter on Prince of Petworth is saying that the place is owned by the Angelico Pizza people, and will become Port Orleans, a burger spot. Not sure how excited people are going to be about this (other commenters on PoP expressed concern regarding the cleanliness/quality of food at Angelico’s) but I’m glad that the space won’t be empty. It’s summer, burger season. I like burgers as much as the next person, but don’t eat them too much because I’m the type who can’t indulge too much or all of a sudden I’ve gained 15 pounds. But, when I saw MICHEL RICHARD’s hamburger buns for sale at the 14th and U farmers market, I knew I had to make some burgers. And not just any burger, because this is MICHEL RICHARD’s buns and no ketchup with American cheese was going to grace them. So, I came up with: carmelized onions (a budget favorite: very cheap and very good, though time consuming to make), goat cheese, arugula, and a fabulous grainy mustard. I think Michel would approve. Budget: $10 for 3 servings, or $3.33 a burger. They’re a bit more expensive at Central (PDF).